The first of our Living with History programs is here! 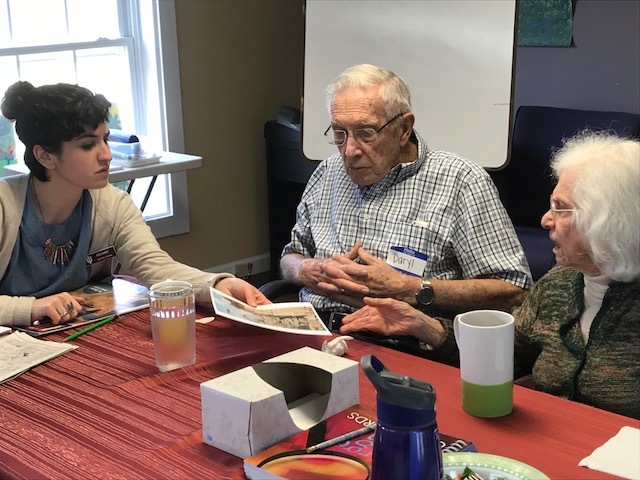 This free program is designed for friends and family care partners to learn to use museum resources to encourage memory sharing and help people to live well with dementia. The workshop centers on objects, photographs, ephemera, and their associated stories housed at the Monroe County History Center. Care partners will learn what types of memory activities and resources are available and how to use them to communicate with people living with dementia. Examples include using memory boxes and participating in museum programs. Support for the Living with History program comes from the Community Foundation of Bloomington and Monroe County Inc.